Custom pair of 9 1/8" bamboo chopsticks with a one standard color imprint on one side of each chopstick in a clear heat sealed cello wrapper. Bamboo chopsticks pair in white or clear cello wrapper. Chopstick length is 9 1/8"L Imprint area: 3"L x 1/8"H. Wrapper imprint available; imprint area: 9"W x 1 1/8"H. Additional Costs: Gold or silver cello wrapper add $.15 each. Wrapper imprint add $50 set-up, plus $.30 run charge per color. Filled Carton: 17" X 17" X 9 1/4" Quantity Per Carton Filled: 500 Carton Shipping Weight Filled: 14. Everybody loves ice cream. Deep-dip design with a safe, non-slip, textured handle. Molded in tough, dishwasher-safe, polypropylene material. Extra-large copy area, brilliant screened imprints, extra-bright colors. 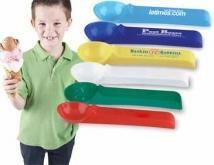 Material: Polypropylene Size: Handle - 8" Long; Scoop - 2 1/8" Wide. Imprint Area: 3/4" x 3 1/8" Box Size: 18 x 18 x 13 Shipping: 30 lbs/400 pcs. A sweet remembrance. A cake and pastry server design well suited for flat pans and cookie sheets. Serrated for cutting; square and rigid for lifting and serving. Tough, impact plastic and dishwasher safe. 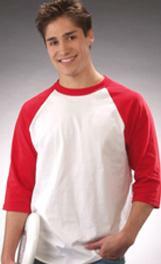 Material: PS Size: 2 3/4" x 8 1/2" Imprint Area: 1/2" x 3" Shipping: 22 lbs/300 pcs. Millions of users. Features easy-to-slice, non-stick roller, dishwasher-safe construction, four-inch-long handle with thumb rest provides a non-slip grip and safe, comfortable slicing. 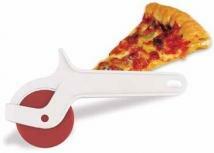 Slices thick or thin pizza crusts quickly and easily. Material: ABS with nylon wheel Made In: Taiwan Size: 3 1/2" x 6 1/4" Imprint Area: 3/8" x 2 1/4" Box Size: 16 x 11 x 11 Shipping: 27 lbs/500 pcs. Scoop holds 1 TBSP. Keeps coffee fresh & seals small bags. Ideal for coffee boutiques, tradeshows & radio station promotions. Made in the U.S.A. Dimensions: 1 3/16"H x 5 3/8" W x 5/8"D Imprint Area: 3/4" H x 2 1/2"W Packaging: Individually poly-bagged Shipping Info: Box Dimensions: 18" L x 18" W x 15" H Shipping Weight: 4.75 lbs / 100 pcs 800 pcs / box. Tablespoons, Teaspoons, and Cups. Size : 9 3/8" x 2 3/4"
Slim design delivers professional results. The ultimate slim design is great for tight places in the kitchen, slim styling attacks any cooking application. High heat silicone blade, can take temperatures up to 500 degrees. Uniquely designed for indoor stove use or outdoors on the grill. Material: Silicone, Plastic Size: Handle - 6" Long; Spatula - 1" x 4" Imprint Area: 3/8" x 2" Shipping: 19 lbs/500 pcs. By popular demand, now available in blue. This versatile, utensil makes food preparation easier and faster by combining six tools in one. Use to peel, grate, eye potatoes, open bottles and measure liquids in quantities of one-half and one-teaspoon. Features a stainless steel blade, rugged ABS plastic and packaging in sealed poly bags. Material: ABS stainless steel blade Made In: China Size: 2 1/4" x 6 1/4" Imprint Area: 1" x 2" Box Size: 22 x 13 x 13 Shipping: 20 lbs/250 pcs. 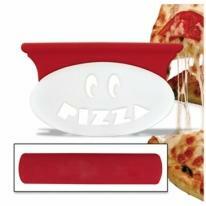 Smile while you cut a slice of your favorite pizza pie; our chef will lend a hand; Styled like your favorite master baker; No mess; dishwasher safe, rugged, ABS plastic for long lasting slicing Note: Pizza cutter is imprinted on top of handle. Material: ABS Made In: China Size: 5 3/8" x 3 1/8" Imprint Area: Top - 5/8" x 3 1/2" Box Size: 19 x 11 x 13 Shipping: 16 lbs/150 pcs. 2 plastic 10-3/4"L chopsticks in a clear or white cello wrapper. Custom pair of stainless steel chopsticks with the same one standard color imprint on each chopstick in a clear cello wrapper. 2 metal chopsticks, 9 1/16"L, in a clear or white cello wrapper. Gold or silver foil: $.15. Setup: $50.00. Standard color imprint on wrapper: $.30 and $50.00 setup charge. Imprint area: 3"W x 1/8"H. Wrapper imprint available; imprint area: 9"W x 1 1/8"H. Additional Costs: Imprint on wrapper, add $50.00 set-up per color, plus $.30 per color run charge. Gold or silver cello add $.15. PMS Color Match: $30 per color (exact match not guaranteed). Filled Carton: 17" x 17" x 9" Quantity Per Carton Filled: 500 Carton Shipping Weight Filled: 24. 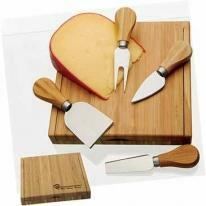 New for holiday this bamboo cheese set is sure it impress! Clamshell-style bamboo case. Features magnetic utensil holder and closure. Material: Case and handles: Bamboo; Knife: Stainless steel Size : 7-1/2"w x 1-1/8"h x 7-1/2"d Imprint Area: Front Lower Right (Standard): 3"w x 1"h. Packaging: Gift Boxed Pack Of: 18 Weight: 29 lbs. 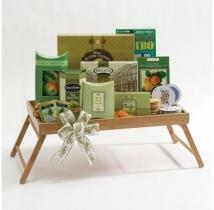 This 21" foldable bamboo tray holds an array of gifts including sweet butter cookies, tea biscuits, cappuccino filled wafer rolls, cinnamon apple crisps, sun-dried apricots, creamy chocolate fudge, fancy fruit hard candies, assorted tea sachets, a deck of playing cards and a crossword game book. Dimensions: 22"L x 14"W x 6"H Shipping weight: 7 lbs.